One of the toughest parts about any kind of workout—cardio, strength training, even just a semi-regular brisk walk—is that it can be tough to repeat the process often. After all, there's not much of a reason to it, is there? The scenery doesn't change much, and there's only so much value out of picking up things and putting things back down again. Right? Well Jabra is putting a new spin on exercise thanks to wearable tech with Jabra Sport Pulse headphones. 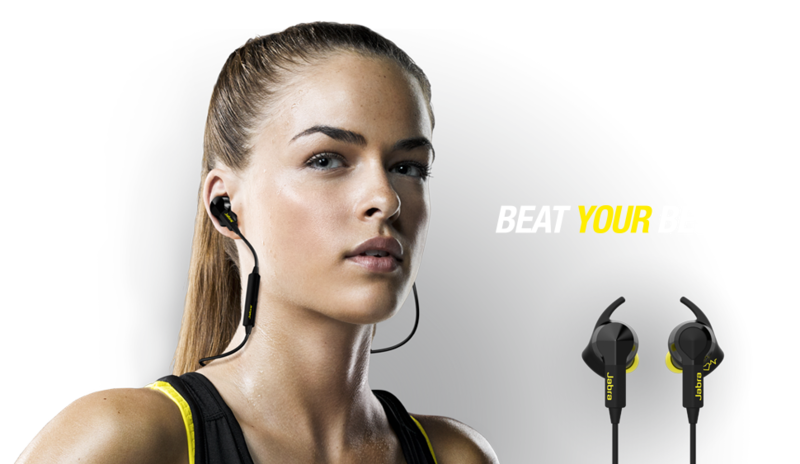 More earbud than actual headphone, the Jabra Sport Pulses provide the standard function that's indispensable to a great many workouts out there; easy access to some kind of audio. Whether it's a radio broadcast, songs or an audio book, headphones provide that sound quickly and quietly, providing a reason to carry on without disturbing the outside world. But the Jabra Sport Pulses aren't just another set of headphones; there's also an audio coaching mechanism included in the package that can not only provide motivation, but also a note of instruction. With the Jabra Sport Pulses, a smartphone or similar app-using device can now put the Jabra Sport Life app to work as part of a larger system, not just managing music, but also tracking workouts and even running heart rate tests. There are actually three separate heart rate tests that can be run: the resting heart rate test, which measures just that, the Orthostatic heart rate test that can spot if users are actually training too hard, and the Rockport test, which focuses on total oxygen intake. Plus, there are even voice training responses that activate based on goals set; get too low a target heart rate, for example, and the app will trigger a response geared to push the user onward. The system can even respond to different potential measures ranging from interval training to total time spent. For those concerned about a set of headphones' ability to track heart rate, there's no need; Jabra actually tested the Jabra Sport Pulses against an electrocardiogram (ECG) machine, and the Jabra Sport Pulses matched up fully 99.2 percent of the time. There's one other feature in these that may ultimately prove controversial; the devices are capable of creating playlists out of YouTube videos that the system can download and store on a phone. That may have some copyright implications, ultimately, though issues of “fair use” may ultimately assert here. Those interested in picking a set up won't have long to wait, as the headphones are set to go on sale at the end of October for $199.99. While $200 for a set of headphones sounds like a lot—especially that these aren't offering a substantial audio performance boost—there's certainly plenty of benefit here to those who regularly work out, or those who do work out but not sufficiently regularly. The heart rate tracking is certainly a nice option, as is the motivational portion of the operation. The YouTube-conversion audio playlist, meanwhile, may prove to be a troublesome development in the long term, but it's likely something that's already happening in the field; a simple Google search of “YouTube to MP3” reveals about 165 million results, so this is really only an extension of what's already going on in the field. The Jabra Sport Pulse headphones may not be everyone's cup of workout tea, but it's a pretty safe bet that these will find some welcome fitness tracker fans in the near term.